If you are thinking about becoming a home owner, go through these 10 checkpoints before you begin a search or contact a Realtor®. Develop your home wish list. Then, prioritize the features on your list. I like to tell my clients to create 2 columns: ‘Must Haves’ and ‘Like to Have.’ Deciding on features of a home that you cannot live without or are not willing to overlook is essential as it guides which home you will consider. Compile a list of three or four neighborhoods you’d like to live in, taking into account items such as schools, recreational facilities, area expansion plans, and safety. Drive through those neighborhoods at various time in the day at at night to get a real feeling on the community. Repeat..start saving…now. Do you have enough money saved to qualify for a mortgage and cover your down payment? Ideally, you should have 20 percent of the purchase price saved as a down payment. Also, don’t forget to factor in closing costs. Closing costs — including taxes, attorney’s fee, and transfer fees — average between 2 and 7 percent of the home price. Obtain a copy of your credit report to make sure it is accurate and to correct any errors immediately. A credit report provides a history of your credit, bad debts, and any late payments. How large of mortgage do you qualify for? 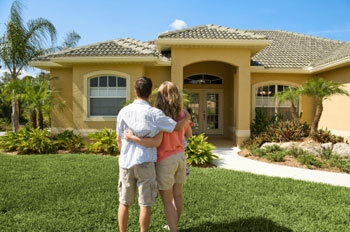 Conventional, FHA and VA loans are the usual options. Explore different loan options and decide what’s best for you. Organize all the documentation a lender will need to pre-approve you for a loan. You might need W-2 forms, copies of at least one pay stub, account numbers, and copies of two to four months of bank or credit union statements. Weigh other sources of help with a down payment. Do you qualify for any special mortgage or down payment assistance programs? Check with your state and local government on down payment assistance programs for first-time buyers. Or, if you have an IRA account, you can use the money you’ve saved to buy your fist home without paying a penalty for early withdrawal. This should include property taxes, insurance, maintenance and utilities, and association fees, if applicable. Find an experienced REALTOR® who can help guide you through the process. Previous Does Moving Up Make Sense?